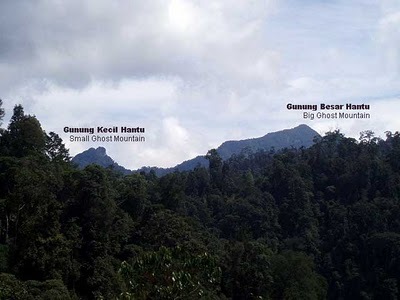 Gunung Besar Hantu, also known as Gunung Antu Besar, is situated in Jelebu, Negeri Sembilan, near the border of Pahang State, West Malaysia. Standing at 1,462 M above sea-level, it is the highest mountain in the State and is one of the mountains located at the tail end of the famous Titiwangsa Range of Peninsula Malaysia. 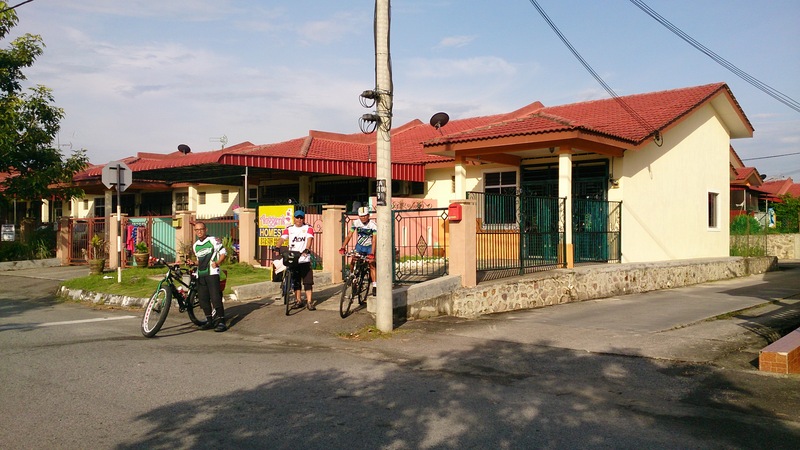 Trekkers have to travel to Kampung Chennah in Jelebu, via Kuala Klawang town in order to go to the mountain. 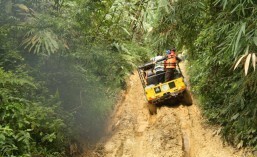 At the village, four-wheel-drive vehicles will take you in a rough and bumpy roads until the Lata Kijang camp. Lata Kijang is one of the beautiful and highest single drop waterfalls in Malaysia. The hike up to Kem Orkid is about 900 metres above sea level. The climb begins by scaling 339 steps at a slope that inclines about 80 degrees, from the Lata Kijang waterfall. It takes about 3 to 4 hours, negotiating the sometimes flat and occasionally steep slopes. 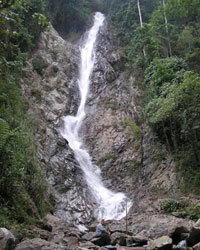 Kem Orkid got its name from the numerous wild orchids growing around the camp which is sandwiched between two rapids. From the camp, the peak of Gunung Besar Hantu can be clearly seen. Watch out for strong gusts of wind and slippery tracks in the final ascent. The presence of dwarf and bonsai plants indicates that the peak is close and the climb is almost done. The soothing panoramic view of areas in Pahang, Negeri Sembilan, Kuala Lumpur and Selangor makes the arduous climb worth every step. *** This article was first published in February 2010 on my previous website.